Have you ever felt that you strained your eyes by staring far too long at a computer screen, television or even the book that you were reading? Did this eye strain cause blurred vision and/or a head ache? 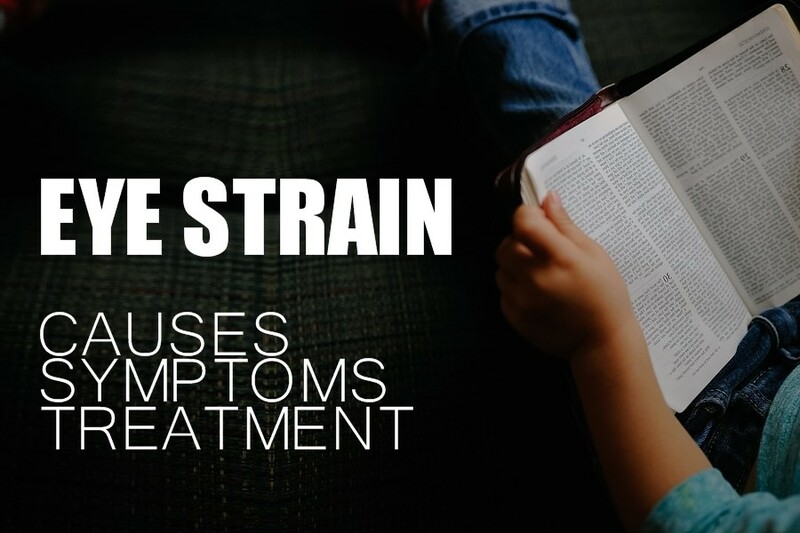 Eye strain symptoms were occasional occurrences when one read traditional hard copy versions of various types of media, such as books and newspapers. However with the advent of technology eye strain symptoms and others variations thereof have become more frequent. While technology has made it more efficient to consume information on smaller devices such as mobile phones and tablets it has also led to the appearance of a disorder called CVS. Computer Vision Syndrome (CVS), is a disorder caused by eye strain while trying to focus on the pixels that form the digital image(s) on the screen. With technology becoming more ubiquitous by the day it is important to be aware of the various symptoms and expressed disorders relating to eye strain. Equally important, is the need to understand the methods of treatments used to combat eye strain in order to diminish or eliminate discomfort related thereto. As mentioned above there are two main types of media that delivers information to the reader. Traditional methods, such as printed work, and digital versions viewed using various electronic devices options. Let's have a quick look at both of these categories and highlight the various symptoms associated with each along with the steps a person can take to address and avoid eye strain for the respective category. Light Source: Choose a well lit location to sit and read. This will make it easier for your eyes to focus. When viewing and consuming information through digital media, whether it is while you are using your mobile phone, watching television, or using eReaders take a break every 10 minutes to give your eyes a rest. You see, unlike traditional publications, electronic devices have introduced a new potential ailment called "Computer Vision Syndrome". This ailment is caused when you strain your eyes in order to focus on pixels of the digital screen attached to your device of choice. The following are two precautions that we can suggest in an effort to combat CVS induced eye strain. Eye strain is indiscriminate and can virtually impact anyone regardless of age, race or gender. By following the steps mentioned above a reader can avoid the unpleasant consequences of eye strain while promoting a healthier and more comfortable reading experience.